Newly constructed apartments in 2019! Welcome home to a brand new apartment at Copper Creek Apartment Homes. We're using the experience and knowledge gained from 98 years of building and managing apartments--and listening to residents--to provide the important amenities you expect, for a better price. 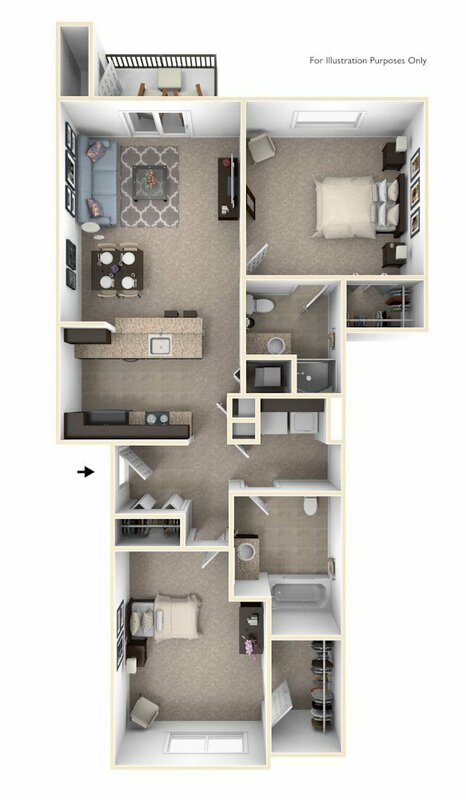 Copper Creek offers stainless steel appliances, shaker-style cabinetry, a full-size washer and dryer in every apartment, and hard surface flooring on the first floor. Coming soon is a 24-hour fitness center, swimming pool with large sundeck, community building and Internet cafe with free Wi-Fi. We're located near Maize Public Schools, shopping, dining, K-96 and more. We'd love to welcome you home! For a limited time, get your first full month of rent FREE with a one-year lease! *Restrictions apply. Contact us for details! We are leasing! For up-to-the-minute apartment availability, please call (833) 649-5743 or contact us online. Up to two pets, dogs or cats, are allowed per apartment in certain buildings only. Restrictions apply.